This is really upsetting. We just posted an article about a TEDx talk that Chief Aristides Jimenez gave. He was one of the few accomplished chiefs at the Sheriff’s Office. That in itself is concerning. Whey would a highly professional individual decide he can’t stay with the Sheriff’s Office? When you take into account all the problems that have occurred at the jail since Sheriff Salazar took over you have wonder about this paragraph. Just one look at Chief Jimenez’s background lets you know he is a professional and wouldn’t outright criticize the sheriff or other members of the Sheriffs command staff but we do know about those problems. How can we not know when they are all over the news? That paragraph, the first part, reads to me as Chief Jimenez saying that the command staff is not unified. That they all want to go their own way. If that’s the case then the obvious conclusion is that Sheriff Salazar is a poor leader who can’t bring his people inline. The second part seems to be directed at the Sheriff. It seems to imply that the Sheriff doesn’t relate to his people. Doesn’t know what they are doing. Doesn’t understand the difficulties of their “day-to-day routine”. If that is so then the only conclusion you can draw from this is that he doesn’t care. Why else would he not know what his people do after two years? Chief Jimenez’s resignation is written in a professional manner but he did leave clues in it to try to warn us. We need to pay attention to that warning. This website will not support the re-election of Sheriff Javier Salazar. 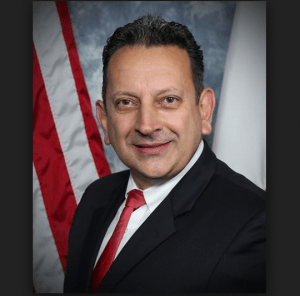 To read the KSAT 12 article and the full resignation letter by Chief Aristides Jimenez click here.